The end of summer doesn’t mean that your vegetable garden has to come to an end. Some veggie plants grow much better in the fall, which is surprising for many gardeners. The fall means you will have fewer issues with insects, the temperatures rarely soar high enough to cause your plants to bolt, and the rain tends to be plentiful. The best tip for a successful fall garden is to learn how to use succession planting to your advantage. To do so successfully, here are some tips. When you are planting vegetables such as carrots or lettuce, space out the plantings every two to four weeks. Doing so means everything doesn’t come to harvest at one time. You can only eat so much lettuce before it goes bad. Staggering the planting brings new harvest frequently. After your short growing crop harvest, you can use that space for longer growing plants. Use companion planting to interplant crops with different maturity dates. You include a crop that grows quickly and will be harvested before the longer growing plant needs more space. Your soil spent months growing vegetable plants and producing a bountiful harvest. After you have harvested all those beans, green beans, cucumbers and more, your soil might not be ready to produce another round of vegetables for your fall garden. The best thing to do is add a thick layer of compost to the area after you remove the dead plants. 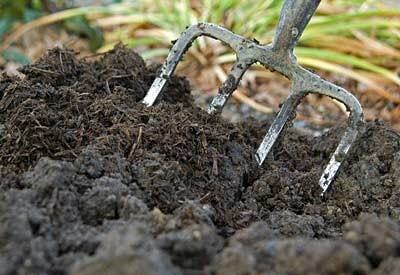 Compost will add vital nutrients back into your soil that will help to produce healthy, vigorously growing plants. Taking the time to pamper and treat your soil will give you a huge world of benefits during your fall gardening season. There are several plants that do well in a fall garden, but there are quite a few that won’t do well. It is important to pick the right ones to make sure your results are ideal. Plenty of these speedy growing plants can fill in blank and empty spots of your veggie garden. Lettuce – Some varieties can take as little as 20 days to mature. You can even grow microgreens for your salad that are ready in less than two weeks! Mustard Greens – Mustard greens sell well at farmer’s markets. You can plant and harvest them 20 days or more, just like lettuce! Radishes – There are several varieties of radishes that don’t take too long to grow. You can have a harvest in 18 to 21 days! They are an ideal plant for succession planting because you will have a harvest every week or two throughout the growing season. Carrots – The maturity rate of carrots vary greatly. Some can take as little as 25 to 30 days, whereas other varieties can take up to 50 days. You will need to plan accordingly by either selecting a quicker type or plant the carrots earlier in the season in anticipation of a fall harvest. Broccoli – Broccoli love cooler temperatures, but they take a long time to grow. You will need to start the seedlings inside of your home and transplant once the temperatures dip down a bit. This step will apply to all members of the cabbage family as well, including brussel sprouts. Peas – Peas love cool weather. Some varieties are ready in 50 to 60 days. They can germinate quickly in warmer weather, so long as you keep the ground moist. Spinach – Spinach bolts quickly in warmer weather, and many gardeners have trouble growing it during the summer. Spinach takes around 30 to 40 days to mature. Some varieties take less than that if you like tender leaves. Of course, this list is far from exhaustive. What you plant will depend on what your family uses the most. Some other options include leafy kale, collards, spinach, cauliflower, turnips, beets, rutabagas, leeks, swiss chard, endive and other greens! To have a successful fall garden, you have to make a plan. You cannot just plant when you want and hope all will turn out well. A plan, counting back from your first frost date in the fall, will allow you to determine what weeks you need to plant what crops. Harvest is always an estimate, but it will allow you to set a plan. What things should you include in your plans? You should include the weeks you want to sow your succession plants, leading up to the first frost. You want to stop planting a few weeks before the final frost. Another thing to consider is when to start your seedlings inside. For example, brussel sprouts can take 120 days to mature! That takes counting back four months to determine the right time to start seeds. 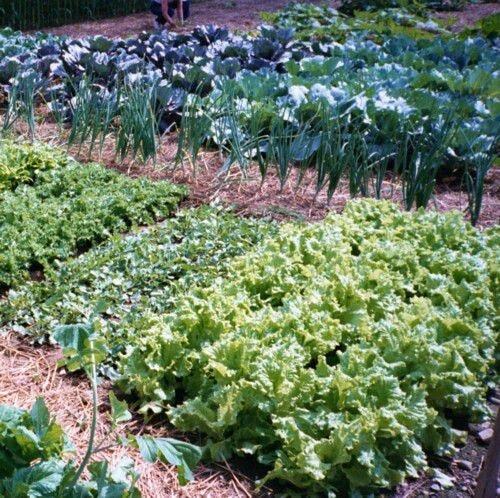 Drought can lead to a major problem with the necessary growth of your fall garden crops. Dry soil can kill many of your root crops such as beets and carrots. Dry ground could kill your broccoli and cauliflower in just a few days. Unfortunately, we cannot control Mother Nature, so that means you have to remember to water your ground often. Soaker hoses are a great defense against drought during the fall. These tactics are very important when you plant the seeds for the fall garden. Temperatures tend to be hotter than when you plant in the spring, so you have to keep the ground moist to aid germination. To keep the ground moist, you will need a lot of mulch. Grass clippings, shredded leaves, spoiled hay and other options will reduce weed growth, keep the soil damp and cool, and encourage healthy earthworms to come, benefiting the soil. Mulch is your best friend after you plant a fall garden. Fall gardening is an ideal way to extend your growing season and harvest more crops. You will be able to stock your pantry by growing more veggies. 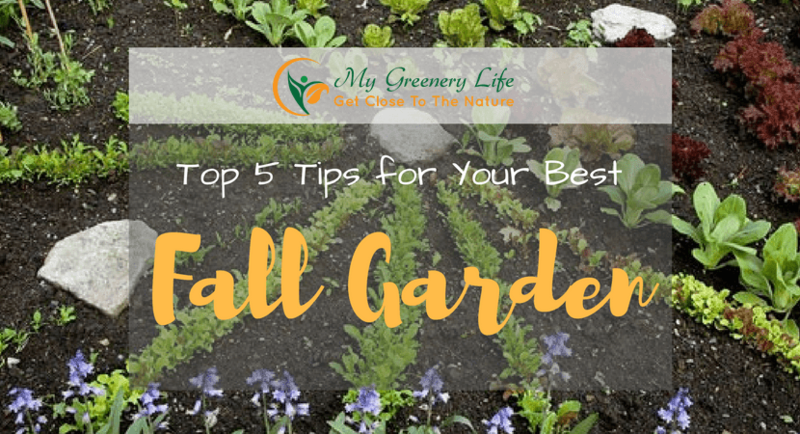 With proper planting and moisture control, any fall garden can be successful. Her passion is gardening. Along with her husband and children, each year they grow a garden large enough to provide their family of five with over half of our needed produce. Besides vegetable﻿﻿s and a small berry patch, she also focuses her attention on beautifying their home with strategically placed flowers, herbs, and flowering plants. Gardening is more than just a hobby; it is a way of life. Time to Get Your Garden BBQ Ready!